It’s time to get our shopping on!!! Community, I have some seriously exciting news!! If you love shopping, special offers and fun events, read on. Nothing satisfies quite like a great shopping haul, amirite? It’s even better when you’re shopping with a group of great gals. Add in a stylist or two who can point you in the direction of sartorial mastery and it’s perfection. I love getting together with you ladies to shop our hearts out and assemble outfits that you look and feel great in. I’ve made so many friends through blogging, which was one of the reasons why I started this blog in the first place! And you. 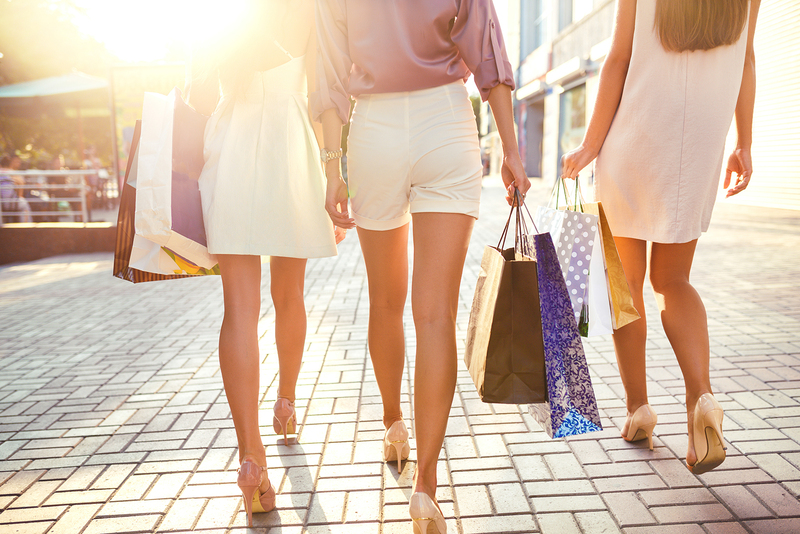 Who doesn’t love getting together with a group to shop? Especially a group size where you don’t feel intimidated by too much attention? A group in which you can comfortably work with an expert to piece together outfits you’ll love for years to come? Do you love shopping? Like exclusive discounts? Want to try on a whole lot of new Spring 2018 clothing? Looking for honest feedback about what looks great, what to skip, and how to put it all together in a look? I’m so excited to share that I’ve teamed up with one of our favorite stores — Nordstrom — for a very special community-only Nordstrom in-store shopping event!!! If you live in the NYC/NJ/CT area, treat yourself to a fantastic day of styling help, shopping and exclusive offers available only to attendees. when you make a purchase during the event! When you RSVP to this event I’ll give you the exact meeting place and further details about our shopping day. During this event, Nordstrom credit card holders will receive triple points! 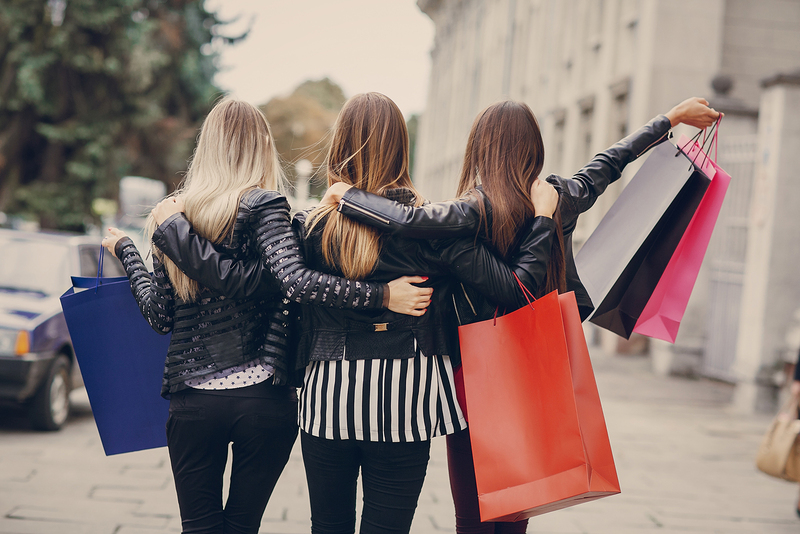 If you’re not a Nordstrom cardholder yet you can open a credit account during the event and earn the triple points with your purchase at the event. We’ll have goodie bags, advice from store stylists, outfit and inspiration pre-picked just for you. We’ll get our own fitting room area set aside just for us, a stylist and a store employee to help us grab sizes or coordinating items, and free reign to try on anything in the store! After our shopping successes you’re invited to join me at the mall’s spacious food court for lunch. It gets better. During the Nordstrom in-store shopping event you’ll have access to a very special treat only for attendees when you make a purchase!! Plus, if you’d like to have an in-stock item pulled from the racks and ready for you in a dressing room when you arrive, we can do that too! The Nordstrom team and I have been working on putting this event together for awhile now. I’m so glad I finally get to publicly announce it! If you’ve never been to the Westchester Mall, it’s beautiful and the Nordstrom store is huge! It has three floors of delights including a plentiful selection of bags, shoes and jewelry — and of course, clothes! You’ll find selections from Nordstrom’s many collaborations like Madewell, Free People and so on available at this location. The store staff is so friendly and helpful, and they can’t wait to make this day a wonderful experience for you. 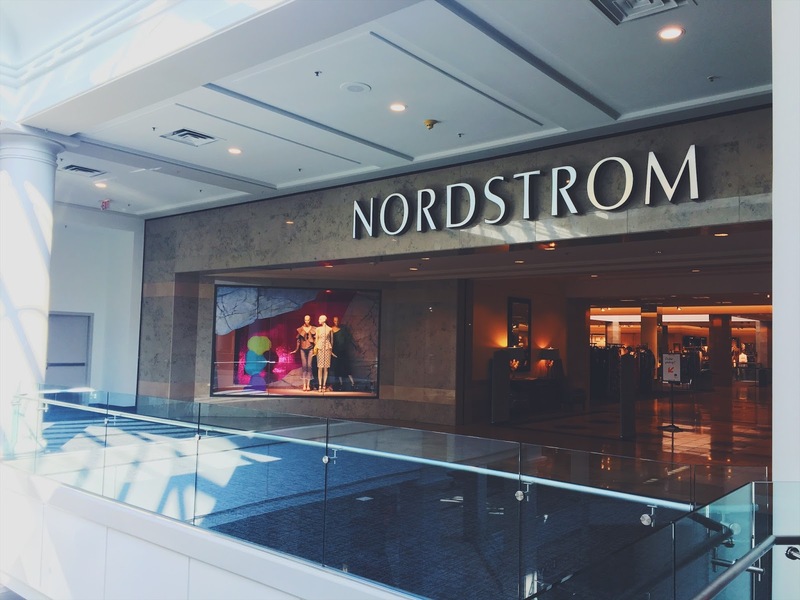 This Nordstrom store location is conveniently located within easy driving distance from the Hudson Valley, western CT, northern NJ or anywhere you want to come from! There is a train station about 1 mile away (the White Plains Metro North station) if you’d like to attend this Nordstrom in-store shopping event from New York City. Expect to either cab it ($14 or so), walk or take the bus from the train station. You’re invited to fly in for the event if you’d like! At past shopping day events we’ve had attendees from Washington, DC; Chicago and even Florida. The Westchester Mall is about an hour away from the NYC airports. There’s a beautiful Crowne Plaza Inn just across the street from the mall. A brilliant day of shopping awaits. I can’t wait for this Nordstrom in-store shopping event!!! It’s thanks to you, Community, and your support over these 10 years, that I get to put together fun events like this! I can’t thank you enough. Your follows. Your comments. Your participation — it all makes a huge difference. Nordstrom rarely holds influencer events. It’s even more rare to get the perk that you’ll get at this event. So, thank you. For being here, for sticking around, for being a wonderful community member!! 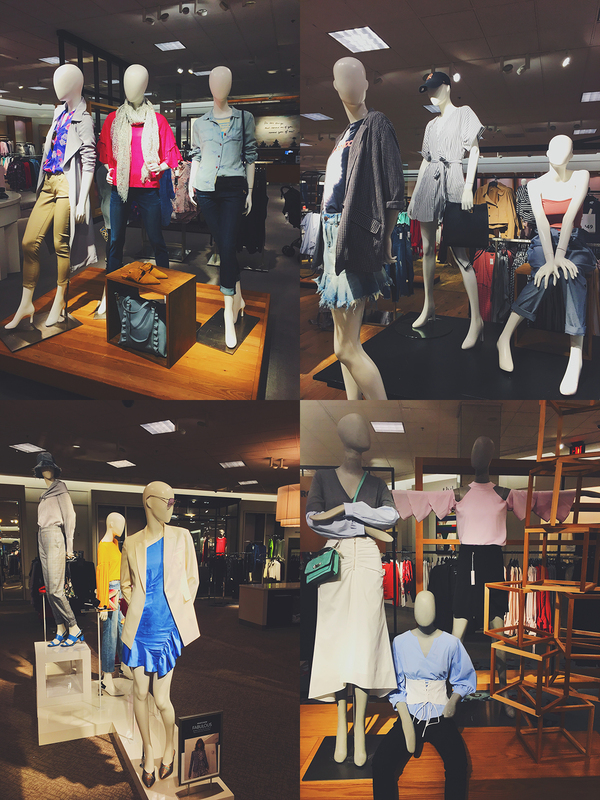 Below, just some of the many items you can expect to find in-store on the Roxy x Nordstrom shopping day! Spots will fill up fast — get your RSVP in today! Previous Post Is Anthropologie suddenly getting cute again? This is so exciting! I don't live in the immediate area but close enough to drive. Emailing you now! Looks like a lot of fun! Love the striped Madewell dress. I've been eyeing it for weeks. Also, love the Darcie slides. So cute! I hadn't noticed that Madewell dress til today but now I must have it! That sounds like so much fun!! Certainly could be a doable day trip from Boston. Hmmmm…..
want to car pool. fellow bostonian here. Looking forward to it!!!! So many lovelies to consider (and as I said, there is a specific coat I have been stalking I may spring for). See you ladies next week! I agree, the Spring stuff at Nordstrom is beautiful. Can't wait to see you and shop! Looks like a great time Roxy, wish I was closer! I wish you were closer too evb! Thank you. i'd be all over this, but down in FL. boo hoo and sounds like a great time. Enjoy ladies! Aww I wish you could come bronzi!! Too bad you are now in Florida but we will be thinking of you. Speaking of Florida, we are starting to look for a place once we retire and are looking at a number of states, Florida being one (right now looking on the east coast – weston, etc but also a few places on the west coast – Destin). Hey there. Hope you and family are well. Yes, I would have definitely gone to this event. Boo boo. FL is nice, sometimes a little “it’s FL” I have said s few times—-LOL. I do like it here overall. Nice places you are looking at. While no state tax, you pay for more stuff than used to. Nice slower pace. I’m still working, moved for the job.